Students and faculty of International Agriculture and Rural Development 6020 (IARD6020), Cornell University’s signature course in global engagement, escaped the snowy U.S. and arrived in Hyderabad recently. They are here spending the next few days(until 22nd Jan, 2018) visiting entrepreneurs, cooperatives, watersheds, vegetable markets, weavers and livestock enterprises in Hyderabad, Bangalore and Dharwadto better understand India’s agricultural systems, rural infrastructure, value-added and fiber industries. It is a golden year for IARD6020, which turns 50 this year. Since 1968, the lives of more than 2,500 undergraduate and graduate students and hundreds of faculty, from Cornell and partner institutions abroad, have been influenced by IARD602 — the first international experiential learning course offered at Cornell, and the oldest such course in the U.S. The course has been coming to India from 2001. Sathguru Management Consultants, Hyderabad, hosted a 50th anniversary celebrationat Taj Deccan in Hyderabadrecently to commemorate the gala occasion. More than 125 people attended the celebration, including Jeanie Borlaug, daughter of Nobel Peace Prize laureate Norman Borlaug, Cornell trustee Girish V. Reddy, UsheBarwale of Mahyco, Dr. D.P. Biradar, VC of UAS-Dharwad, Sushendru Mukherjee, Sanjay Sacheti of Olam International and a few more.The event was marked by two panel discussions: one on training students for the 21st century, and the second on the implications of climate change for agriculture, animal and human health. To cap off the evening, the Cornell students and faculty, who had been detained for more than 24 hours by the snowstorm on the East Coast of the U.S., arrived after much anticipation to cheers and a cultural performance by Indian dancers. During the gala, many Indian participants expressed their appreciation for their association with Cornell. ArunVishwanathan who now runs Ganache Chocolates in Coimbatore-India, attributes his career as a chocolatier to his participation in the Cornell Food &Agri Management Course where he first visited the Hershey Chocolate Factory in the U.S.
Ronnie Coffman, professor of plant breeding and director of International Programs at Cornell, also spoke to the gathering. "In the beginning, IARD602 focused mostly on production agriculture in the tropics. It broadened to include socio-economic and development issues, and then expanded to provide insights into issues of globalization and transnational communities. The consistent thing about the course is that it often represents a life-altering experience for the students," said Coffman, who was first associated with the course as a student in 1969 and is now the course’s director. 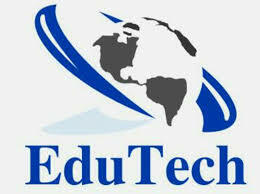 Many industries and agricultural institutions in India will host the students. Among them are: Tirumala Dairy, ICRISAT, CRIDA, NIRD, UAS-Dharwad, Bowenpally Market, AkshayaPatra Kitchen & School, the Suryavanshi Cotton Mills, Shravan Studios, Hafix Designs, and Kothapaly Watershed, to name a few. Students learn in ways they can never read in a book or be exposed to in a class lecture. “The experiential learning is highly appreciated by all,” said Raman. This year, 39 Cornell students from the U.S.have met up with 12 Indian counterparts, accompanied by 12 Cornell and two Indian faculty. The course — which has a fall semester pre-quel requirement and a spring semester reflection — is taught through a combination of on-site, distance-educationand experiential learning. In October, the Indian students spent two weeks with their peers in Ithaca, NY, at Cornell.